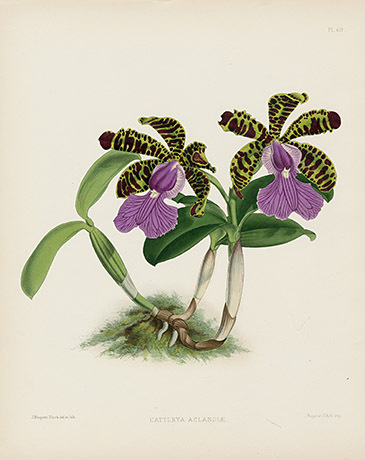 We are very pleased to offer a series of orchid prints from the first edition of Robert Warner and Thomas Moore's illustrious Orchid Album, Comprising Colored Figures and Descriptions of New, Rare and Beautiful Orchidaceous Plants, London: Published by B.S. 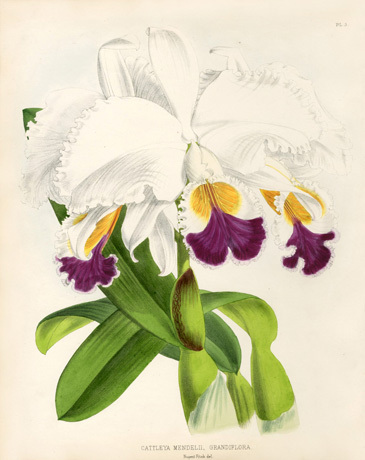 Williams, at the Victoria and Paradise Nurseries, 1882-1897. 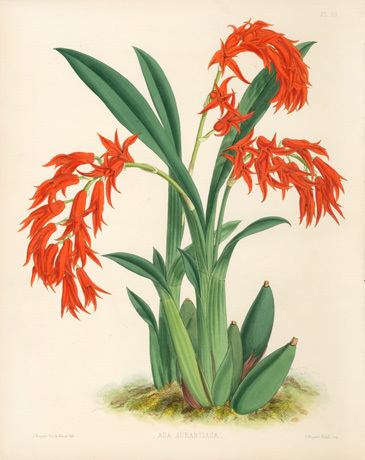 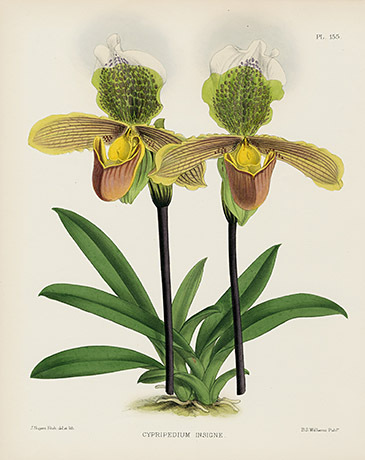 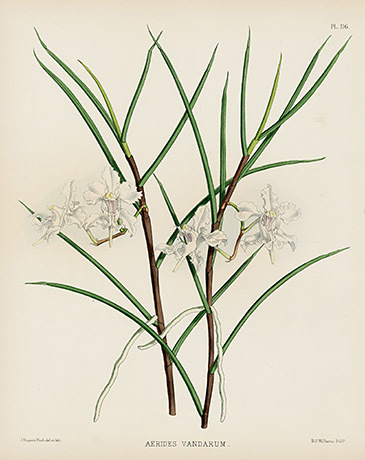 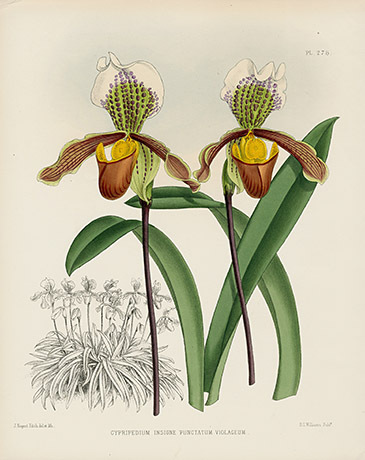 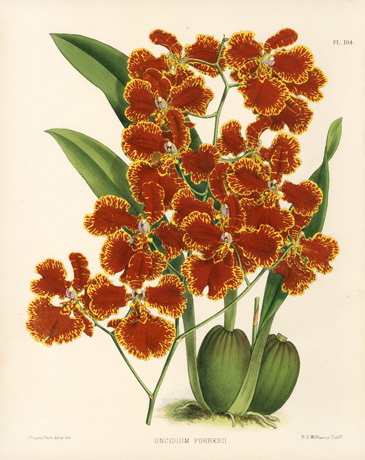 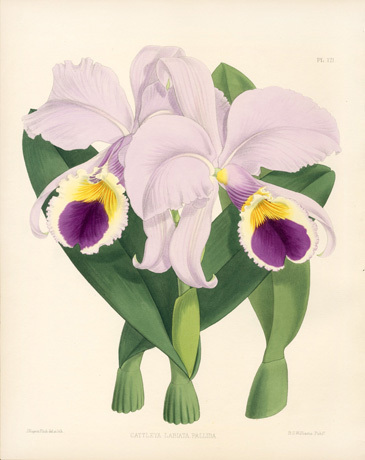 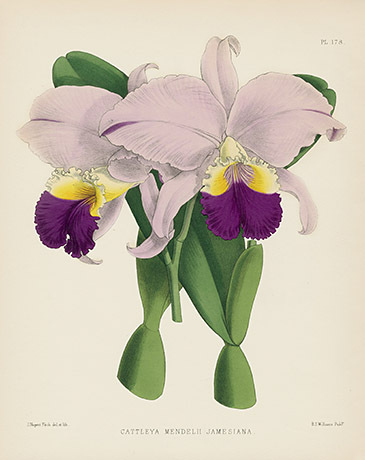 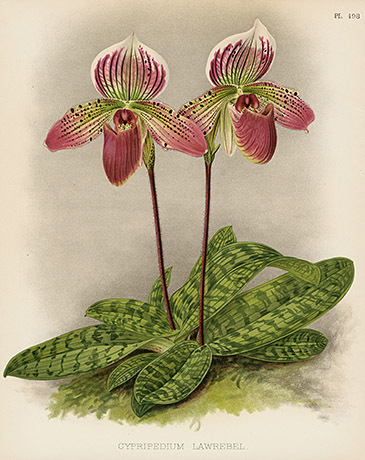 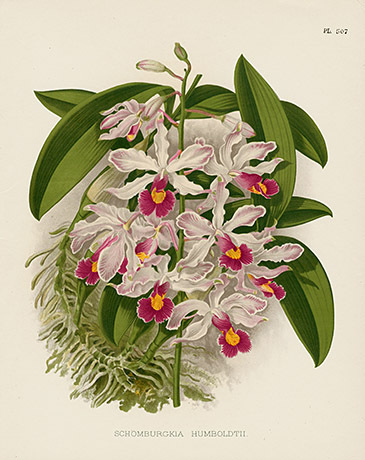 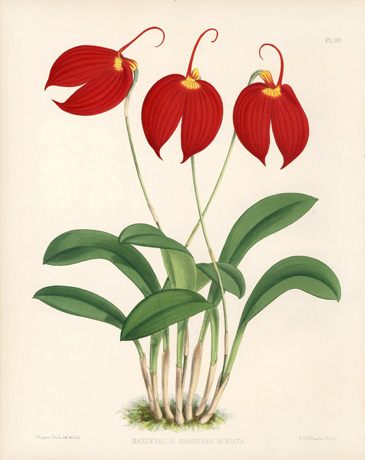 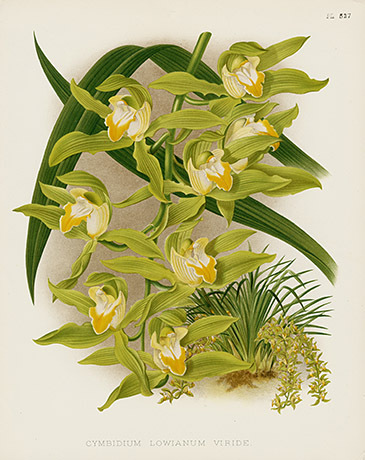 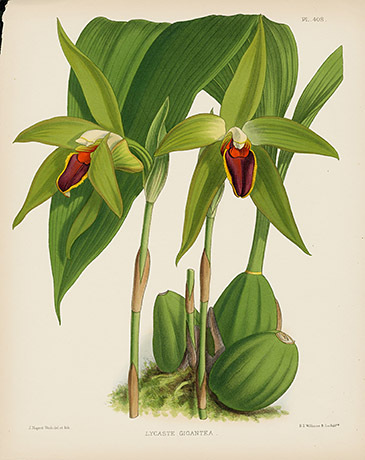 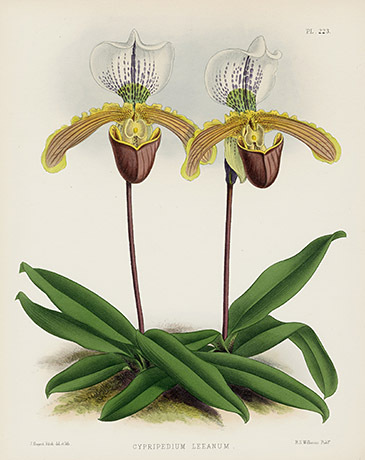 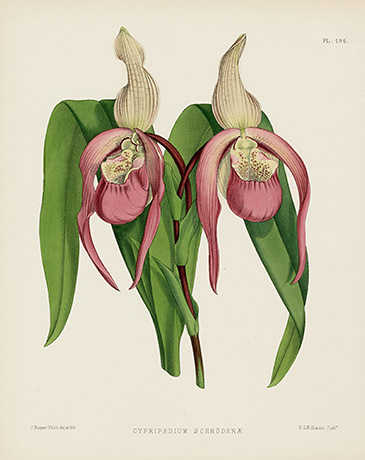 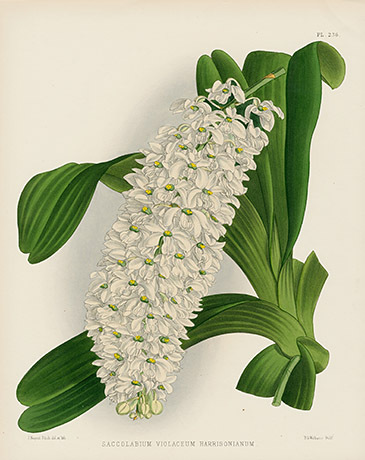 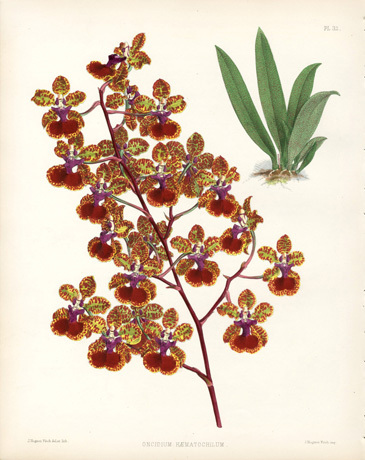 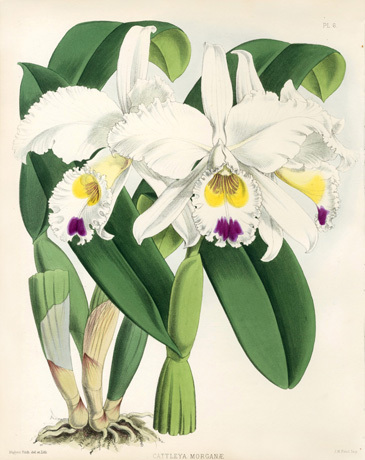 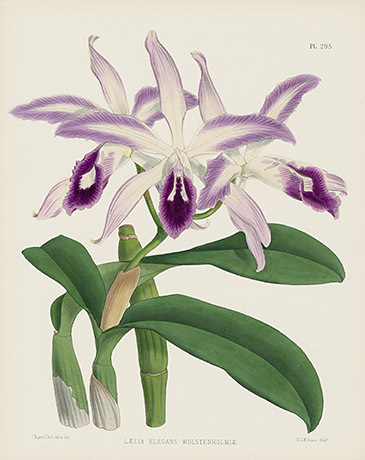 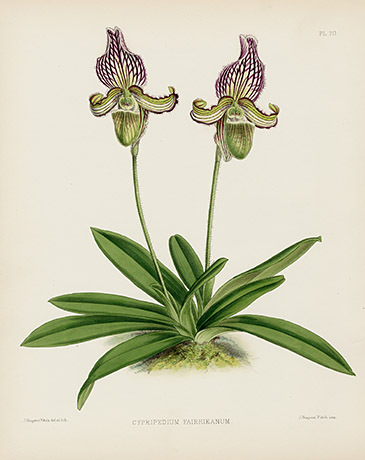 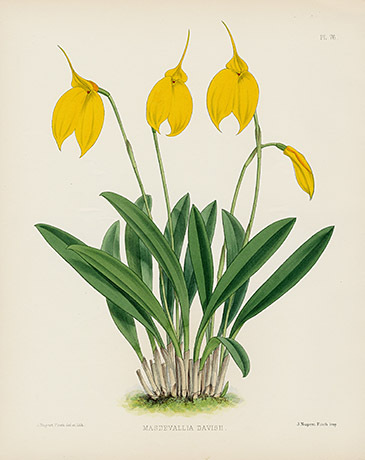 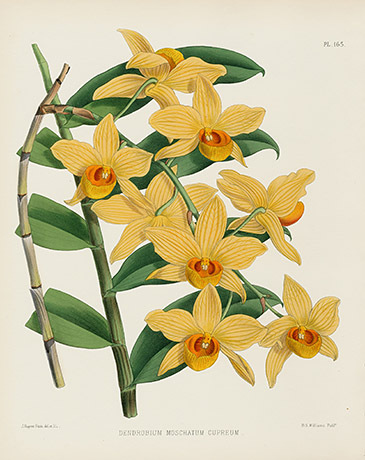 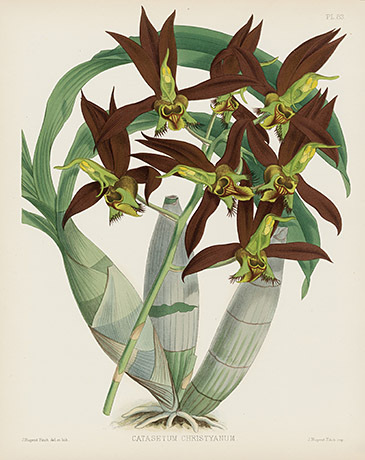 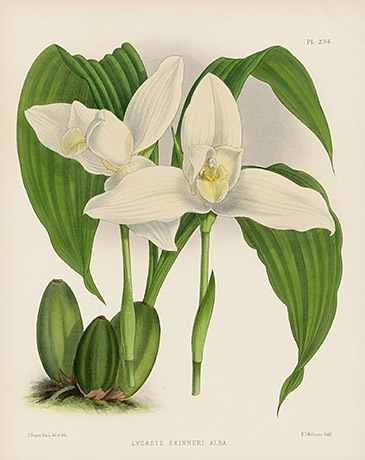 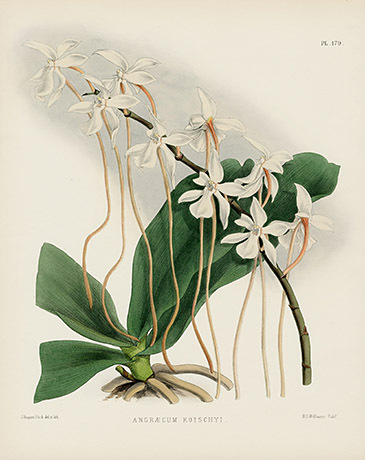 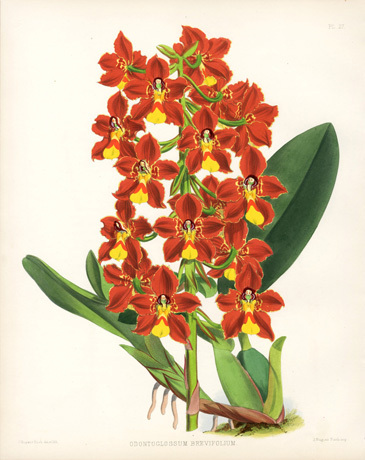 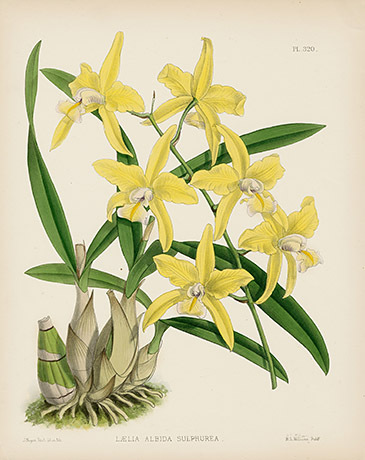 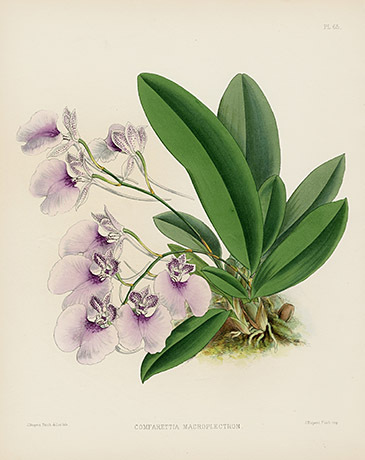 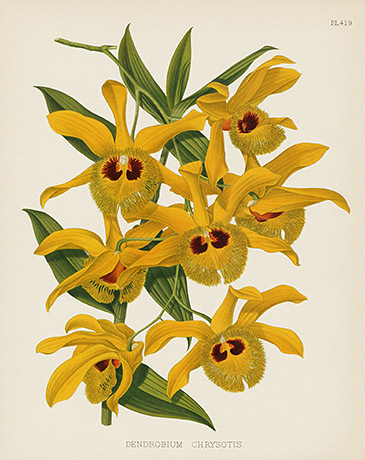 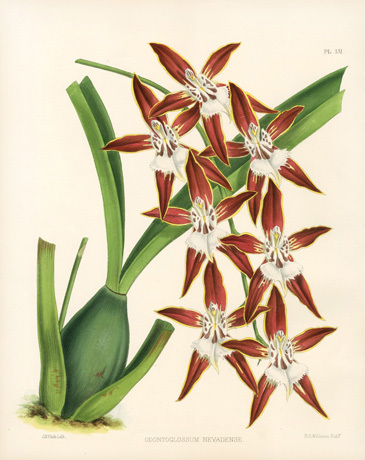 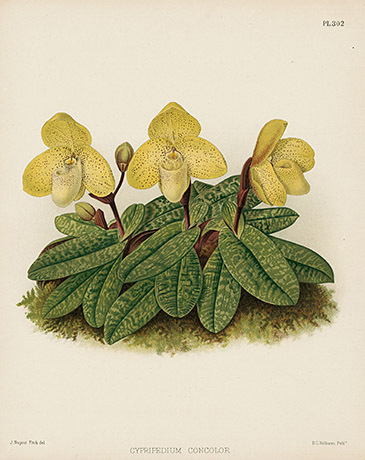 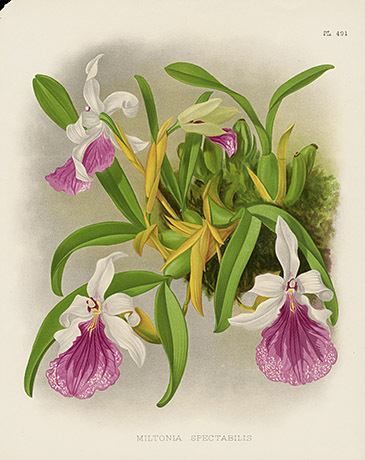 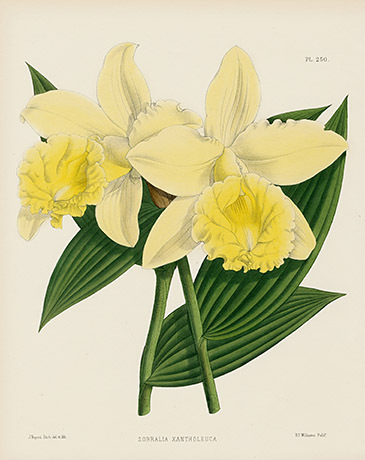 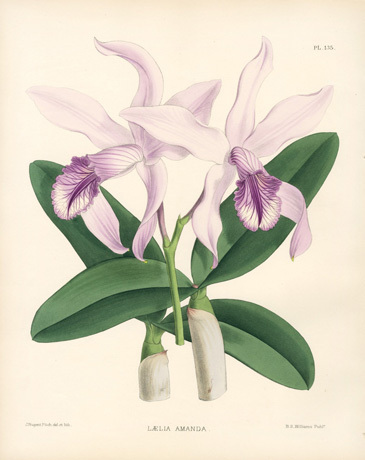 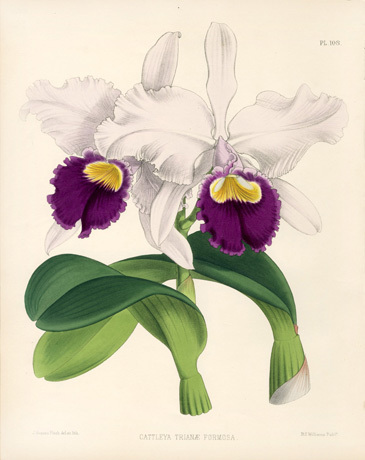 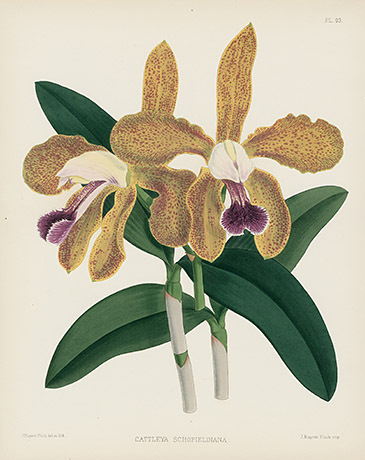 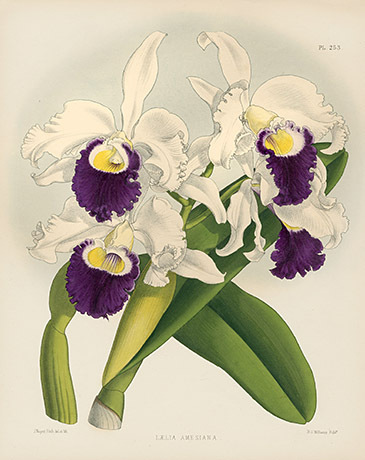 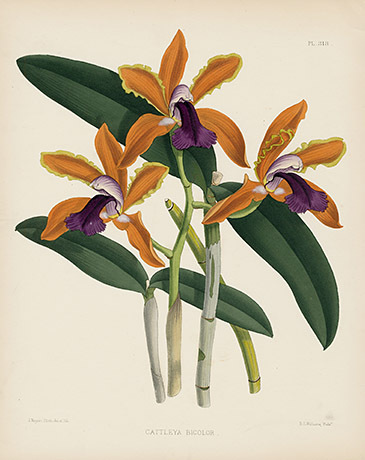 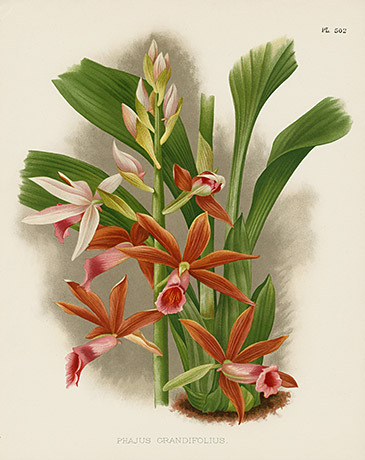 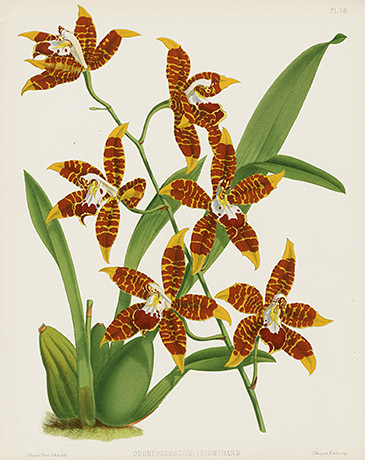 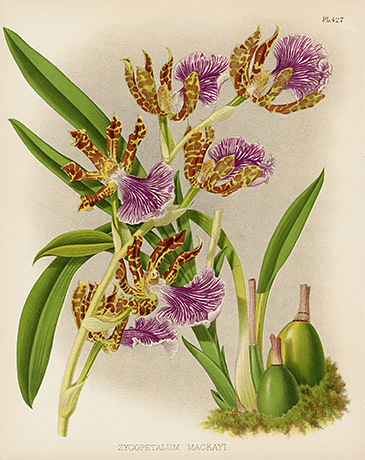 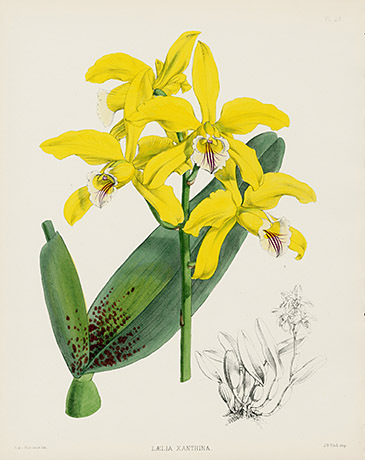 The Orchid Album was illustrated by the master illustrator of orchids, John Nugent Fitch. 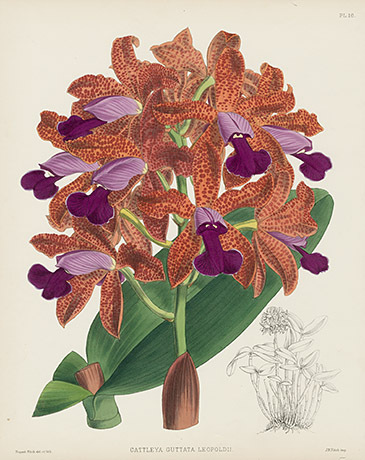 His original drawings are in the Natural History Museum, South Kensington. 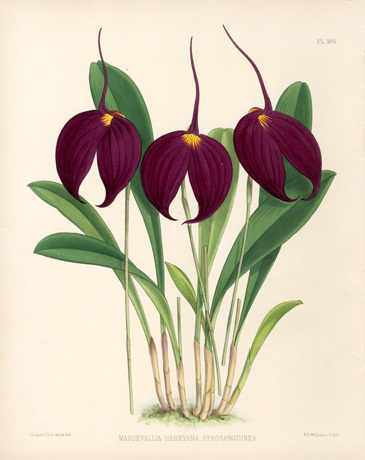 References include Nissen BBI 2107; Great Flower Books,p.80; 187; Stafleu 6282. 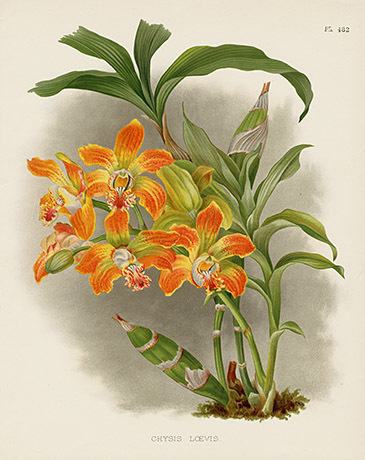 Benjamin Samuel Williams' obituary recollects the intentions of this magnificent work: "In 1881 he commenced his magnum opus, the Orchid Album, which was projected with the idea of supplying a demand for illustrations of Orchidaceous plants, with botanical descriptions of the plants figured and notes on their cultivation.... Its appearance was hailed with great satisfaction in horticultural circles throughout the world, and it numbers among its subscribers nearly all lovers of Orchids and many of our leading and most influential horticulturalists." 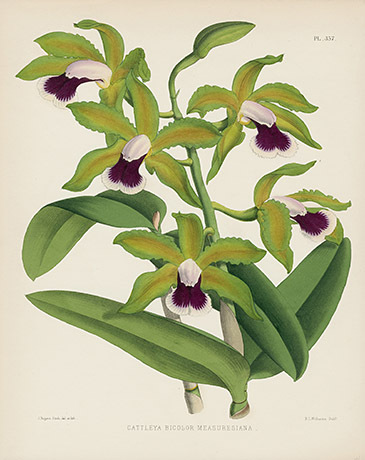 As orchid raisers of many years standing, obtaining these prints was a powerful reminder of the almost overwhelming beauty and magnificence of the orchid family. 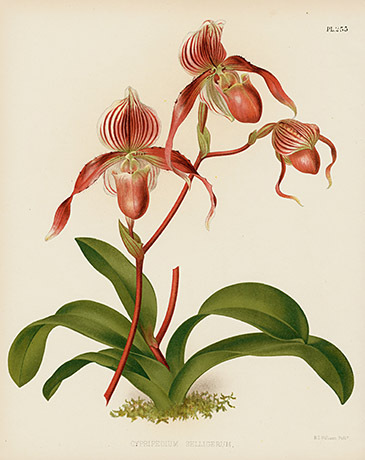 It is very easy to understand the life long fascination that orchid lovers have for these plants. 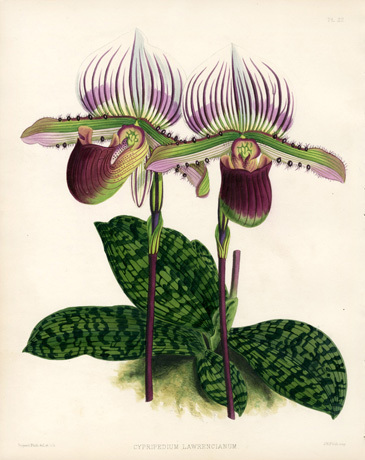 These are hand colored prints with some lithography and the colors are very intense and fresh. 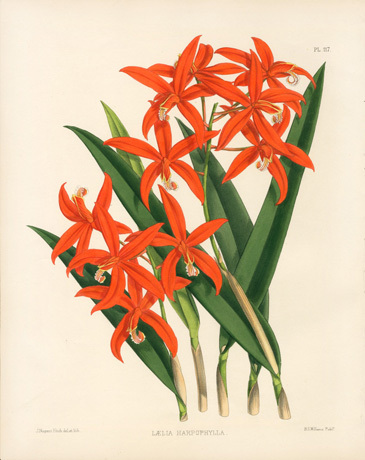 We have compared the prints with others that are available and the brilliance of the colors in this very RARE FIRST edition are unsurpassed. 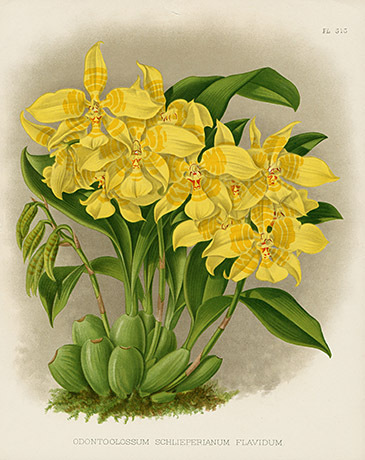 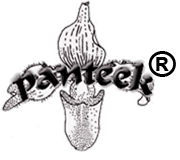 Each print measures approximately 9 1/2 inches wide by 11 3/4 inches long.